Prime Minister Scott Morrison will today announce that Indigenous businessman Warren Mundine has been installed as Liberal candidate for the marginal NSW seat of Gilmore, after a backroom deal led to a majority of state executives voting down preselected candidate Grant Schultz last night. The Sydney Morning Herald and The Australian ($) report that local Liberal members are furious at the vote, which fell 16-1 in favour of the former Labor national president, and comes amidst internal fears of a post-Kelly O’Dwyer exodus. Speaking to his local paper The South Coast Register, Schultz announced he has resigned from the party and will run against Mundine as an independent. Alinta Energy has become the second body to come forward with a coal project for the Coalition’s fast-tracked “firmed” generation underwriting mechanism, following coal baron Trevor St Baker to announce expressions of interests ahead of today’s submission deadline. However the Australian Financial Review ($) reports that Alinta only aims to use the mechanism to support investment in “marginal improvements” at its existing Loy Yang B plant, a far cry from St Baker’s $6 billion pitch for new coal plants in Victoria and NSW. With Victorian energy minister Lily D’Ambrosio already rebuffing St Baker’s state plan, shadow energy minister Mark Butler has both condemned plans to underwrite coal and questioned how contracts could be entered into in time for a planned phase of support in July. In related news, South Australia could break its all time heat record tomorrow ($) and Greenland is melting faster than scientists ever expected. Australian production designer Fiona Crombie and screenwriter Tony McNamara have received Oscar nominations for their work on royal satire The Favourite, which has tied with Alfonso Cuaron’s Roma for the most nominations at 10 each. However, news.com.au reports that this year was otherwise relatively disappointing for Australian stars, with Nicole Kidman (Destroyer, Boy Erased), Toni Collette (Hereditary), Margot Robbie (Mary Queen of Scots) and Troye Sivan (“Revelation” from Boy Erased) all missing out. Elsewhere, Lady Gaga got a nod for A Star Is Born, and Black Panther became the first ever superhero film to receive a best film nomination. Those who want to engage in judgements of things that happened 250 years ago and ignore the context of the period do history and themselves a disservice … Sure [James Cook] made some mistakes, who doesn’t? Spruiking a $48.7 million celebration of captain James Cook, the Prime Minister glosses over mistakes such as the “Terra Nulius” invasion, and Cook’s attempt to kidnap the king of Hawaii Kalaniʻōpuʻu. A committal mention will be held for Metro Trains, which is charged with failing to provide a safe work environment over the April 2016 electrocution of an apprentice electrician. Refugee supporters will rally at the Immigration Department in support of detainees participating in the Australia-wide hunger strike protest. A RAAF C-130J Hercules transport aircraft will conduct a handling display rehearsal over Sydney Harbour ahead of festivities for Australia Day. Social researcher Hugh Mackay will deliver “A culture of compassion” for his 2019 Australia Day address at the Sydney Conservatorium of Music. The Australian Museum will host Ngalu Warrawi Marr (“We stand strong”), a First Nations festival event including a Broriginals live podcast recording, presentations, and art tours. Former West Australian Labor MP Barry Urban will appear at a committal mention for 12 charges of fraud, to which he has pleaded not guilty. Why do we still think cripface is OK? Disability academic Beth Haller talks about new ways of giving people with disabilities control over their own narratives. And she says help could be coming from quite an unlikely quarter. 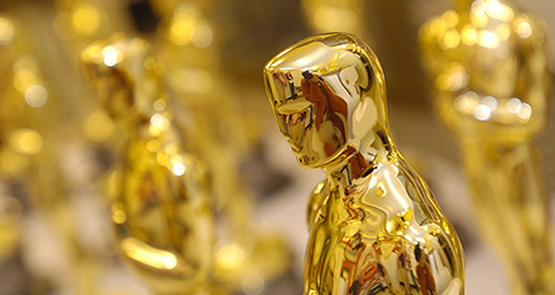 The Academy Awards, much like everything else to do with Hollywood, is really a branding exercise. 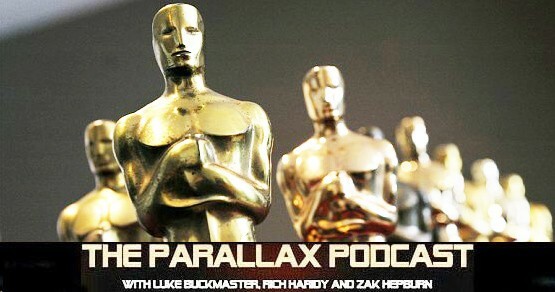 In the first episode of The Parallax Podcast for 2013, Luke Buckmaster and Rich Haridy race through the nine feature films nominated for a Best Picture Academy Award. Every year the public and the media get caught up in Oscars season hullabaloo. But before you get excited about this year's nominees, it's worth remembering that the Academy has a notorious record in making bad decisions, writes Luke Buckmaster.